I am a little spoiled when it comes to a couple food items. Growing up my mom always made homemade applesauce and homemade barbeque sauce, and the store-bought equivalents just do not compare! 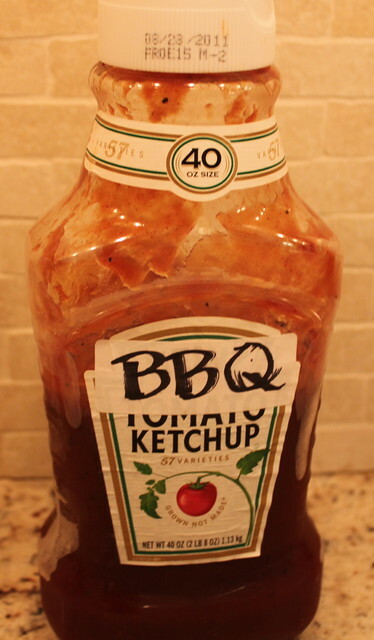 My mom’s BBQ sauce is the perfect mixture of spicy, sweet and tang. 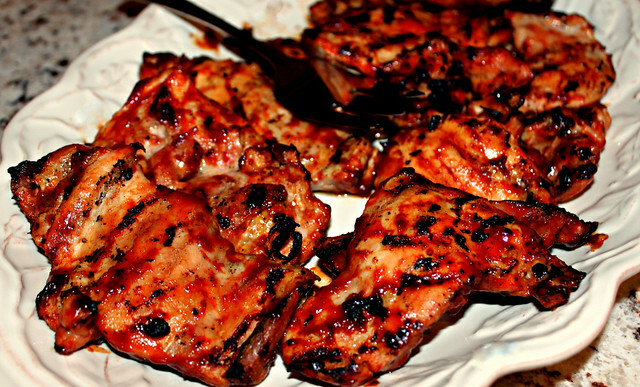 It is a great sauce for grilled chicken, pork or even as a dip for grilled cheese. I have also used it on pizza crust instead of pizza sauce. Top the pizza with shredded pork or chicken, green onions and cheddar cheese. Tasty stuff. We usually double the recipe since it takes no added effort and it keeps well in the refrigerator. The Perfect Pairing for this sauce is the ketchup bottle you just emptied to make the sauce. You don’t even have to rinse it out, just use a funnel and add your special sauce right into the bottle. It is the perfect container for homemade sauce! You can see we added a nice fancy label to eliminate any confusion when reaching into the fridge. Combine all ingredients in a medium saucepan, bring to a boil. Cook over low heat until it reaches the thickness you prefer (approximately 30-40 minutes), stirring occasionally. Allow to cool and store in an airtight container in the refrigerator.